The fiResponse™+goTenna integration is extending the reach of the fiResponse™ platform’s situational awareness capabilities far beyond any other solution on the market. Thanks to its long range, lightweight, and affordability, for the first time, every individual firefighter can become a part of the common operating picture in remote environments where traditional connectivity is unavailable. 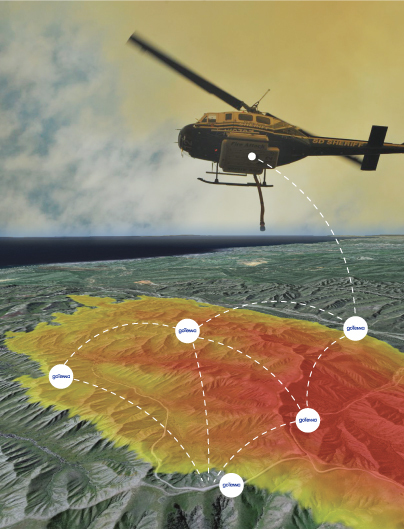 With this integration, wildland operators can track and share their locations, chat, draw fire lines, pinpoint hotspots, communicate with aircraft and deliver other critical status reports without any kind of communication infrastructure. Enabling real time communication in a disconnected operational environment. The most valuable information when responding to an incident is ensuring you have a comprehensive view of all assets and hazards in the field. Understanding where your people, vehicles, equipment and other resources are – and their status – are just as critical as understanding where the fire line and hotspots are. 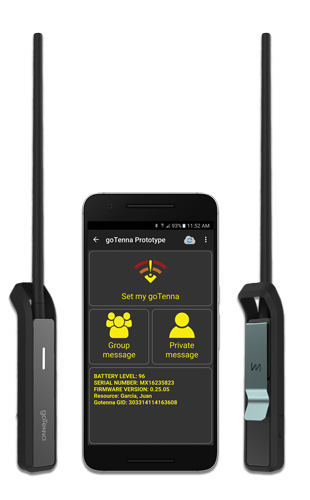 goTenna extends the use of fiResponse™ Mobile to facilitate peer-to-peer communication among firefighters when no satellite or cellular network is available. Using goTenna, firefighters can continue to communicate, share information, and track their locations with the fiResponse™ Mobile app. Download the fiResponse™+goTenna Brochure to learn more.